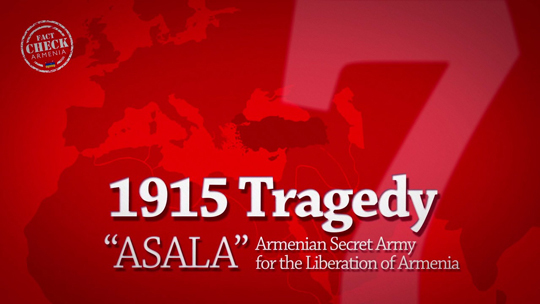 The Armenian Secret Army for the Liberation of Armenia (ASALA) was launched as a Marxist-Leninist organization in 1975 and operated through the early 1990s. The group, designated by the United States as a terrorist organization, sought to re-establish historical Armenia while forcing the Republic of Turkey to recognize the events of 1915 as genocide. In doing so, the group orchestrated ruthless attacks against Turkish diplomatic missions, including the assassination of Mehmet Baydar, the Turkish Consul General in Los Angeles and his Deputy, Bahadir Demir on January 27, 1973. In total, 110 attacks in 38 cities in 21 countries were launched under the ASALA movement and assisted via the coordination of other terror groups, including the Kurdish rebels under the Kurdistan Workers Party (PKK). Forty-two Turkish diplomats and four foreign nationals were killed; 15 Turks and 66 foreign nationals were wounded. 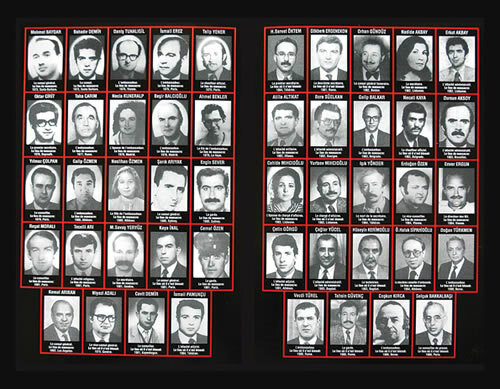 Due to the Armenian Terrorism led by ASALA and JCAG (Justice Commandos of the Armenian Genocide), 42 Turkish diplomatists and 4 foreigners died and 15 Turkish people and 66 foreigners were injured in a total of 110 terrorist incidents.